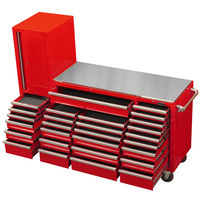 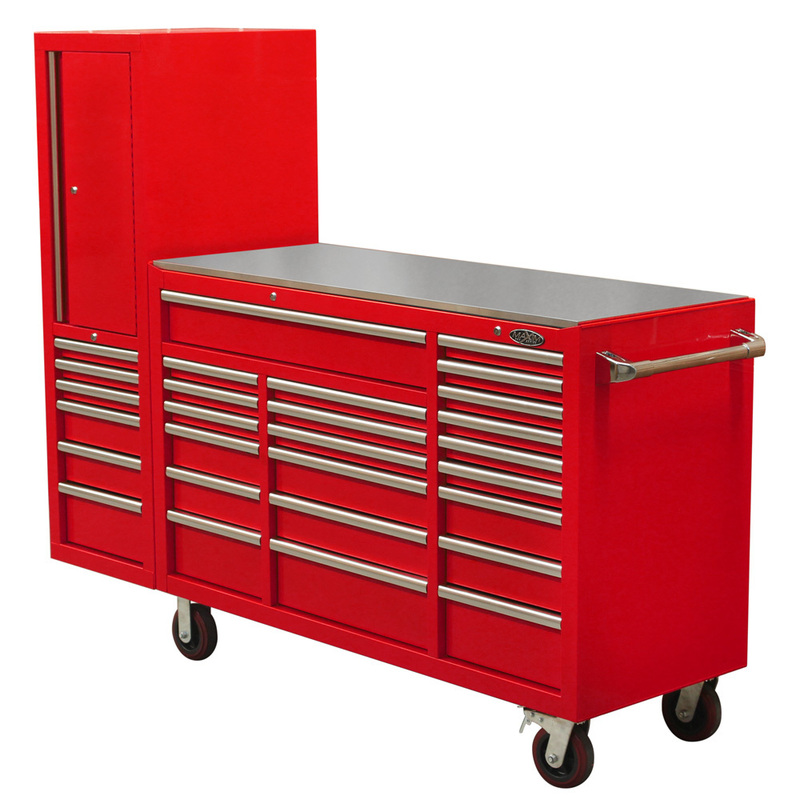 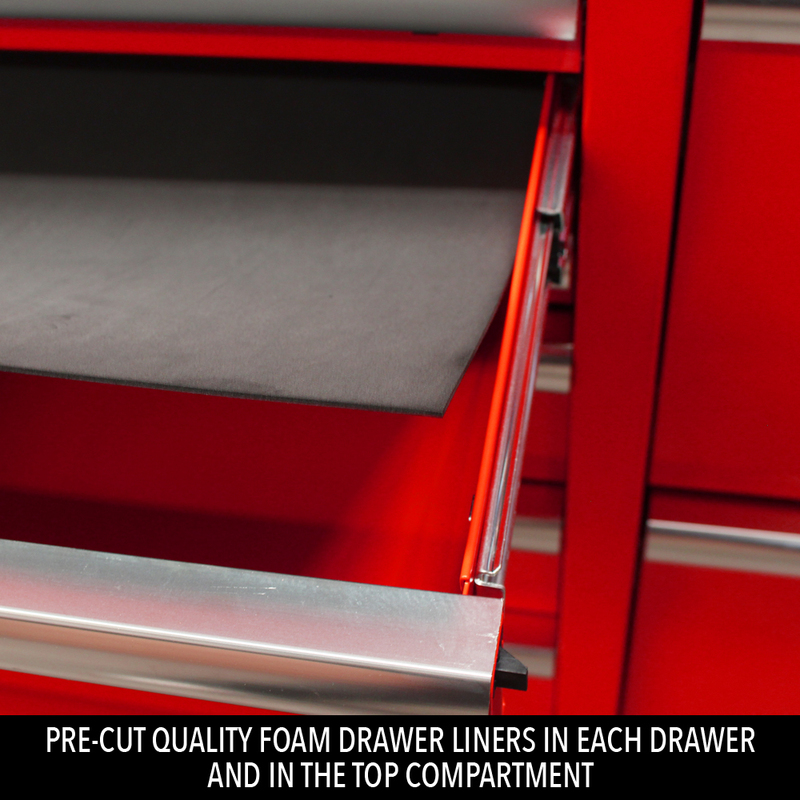 The New Design MAXIM 80 inch Red Toolbox Workstation features 28 drawers, weighs 335kg and includes a stainless steel top. 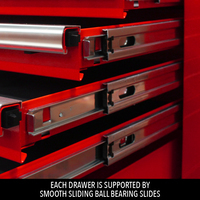 Six drawers have been upgraded to double ball bearing slides. 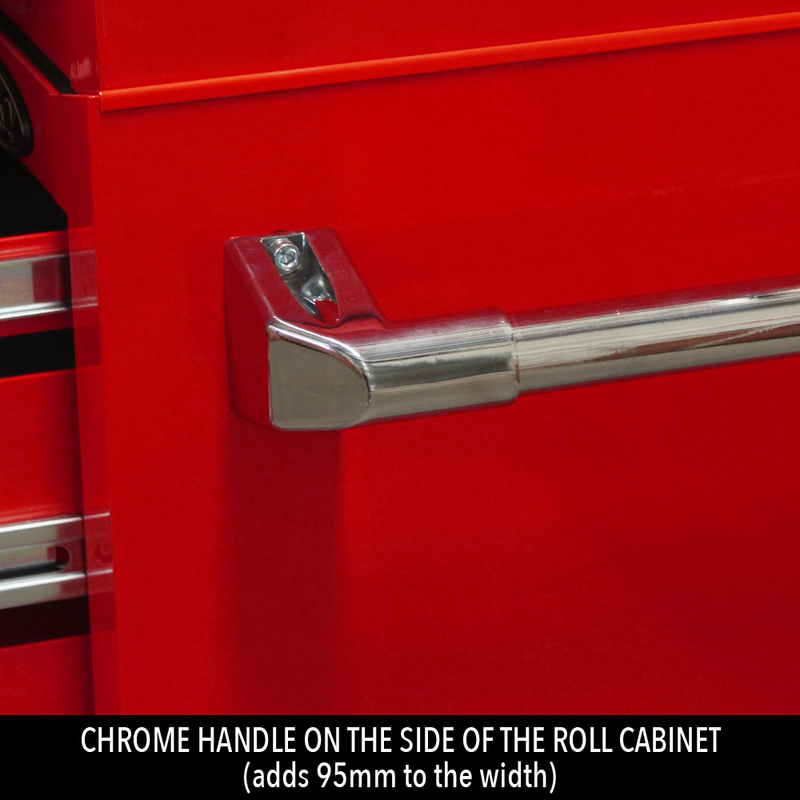 Very maneuverable for its size. 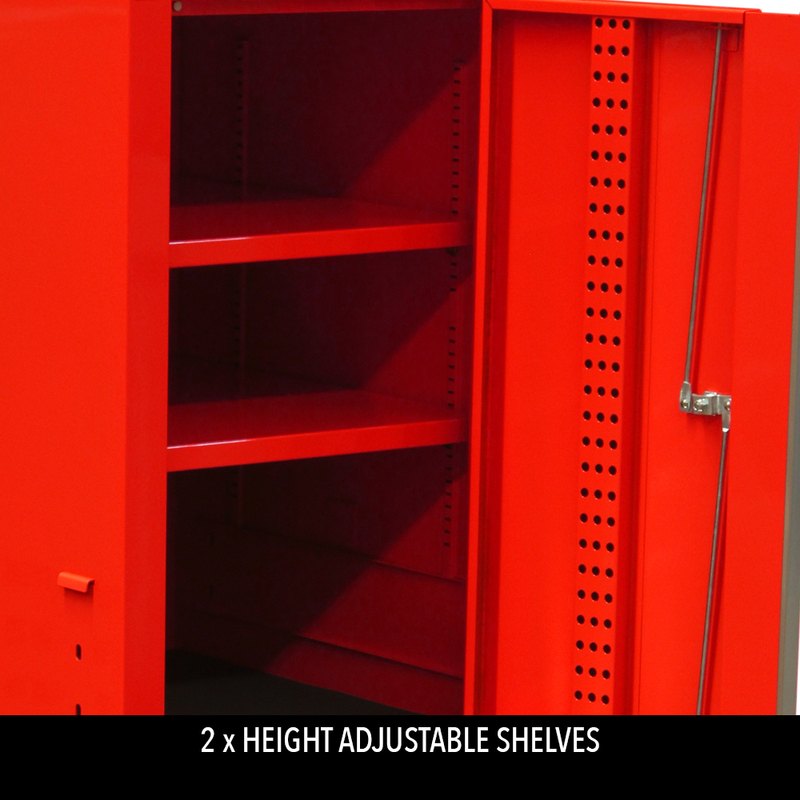 Large amount of storage space. 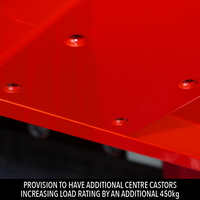 Steel construction with a twin steel wall outer shell. 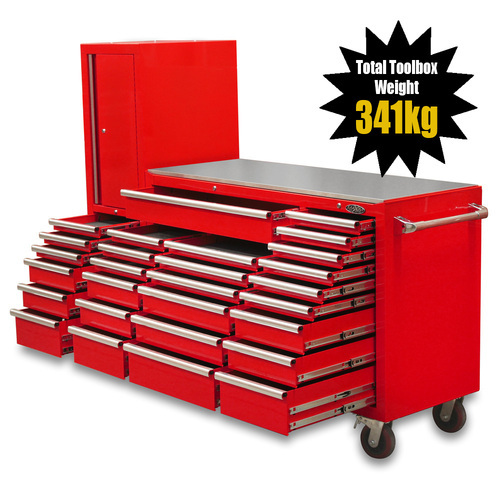 Combination weighs 315kg plus stainless steel top. Includes a benchtop - MDF covered in stainless steel. 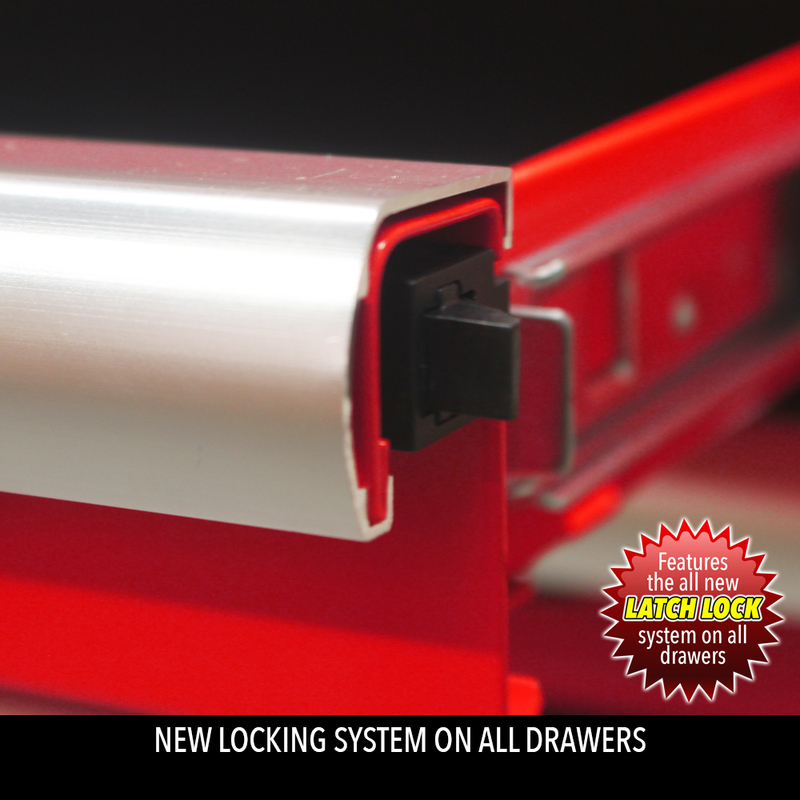 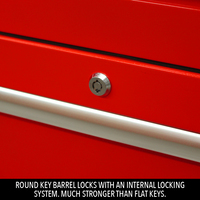 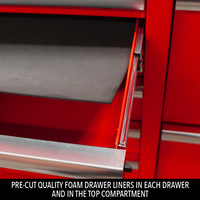 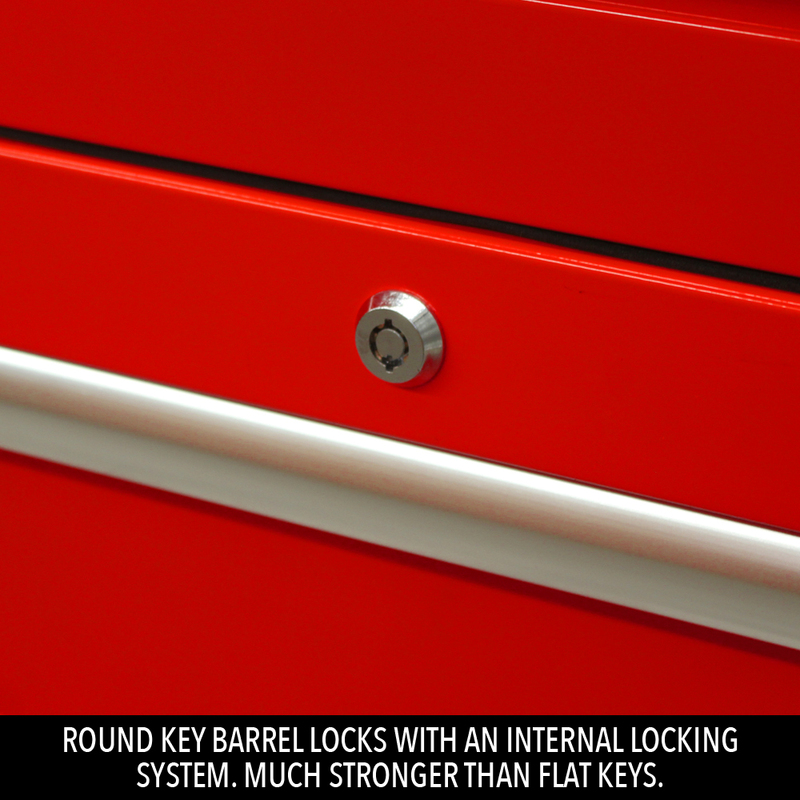 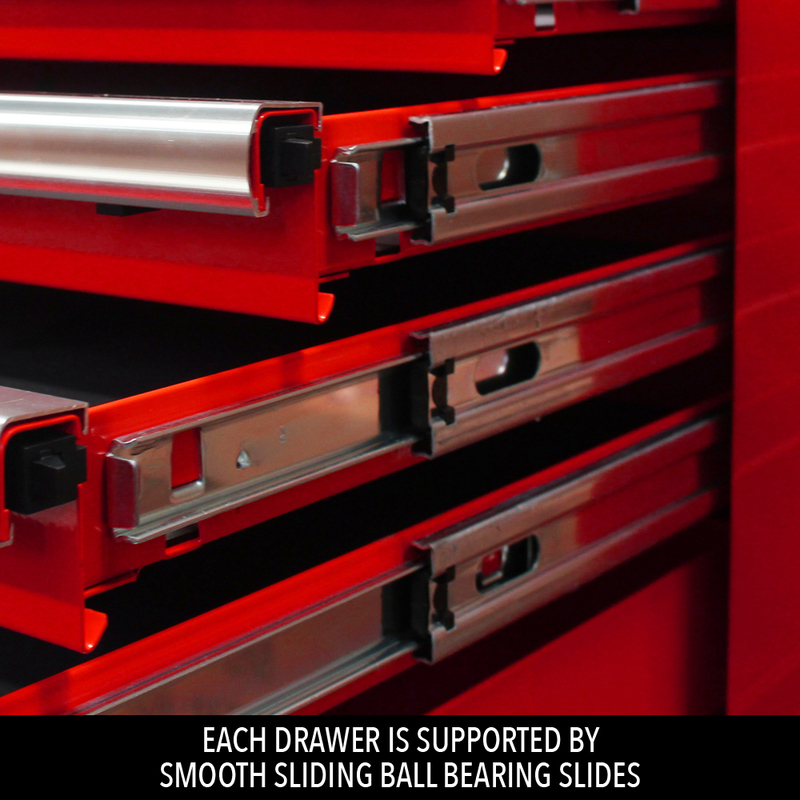 We've upgraded the 5 largest drawers to DUAL BALL BEARING SLIDES. 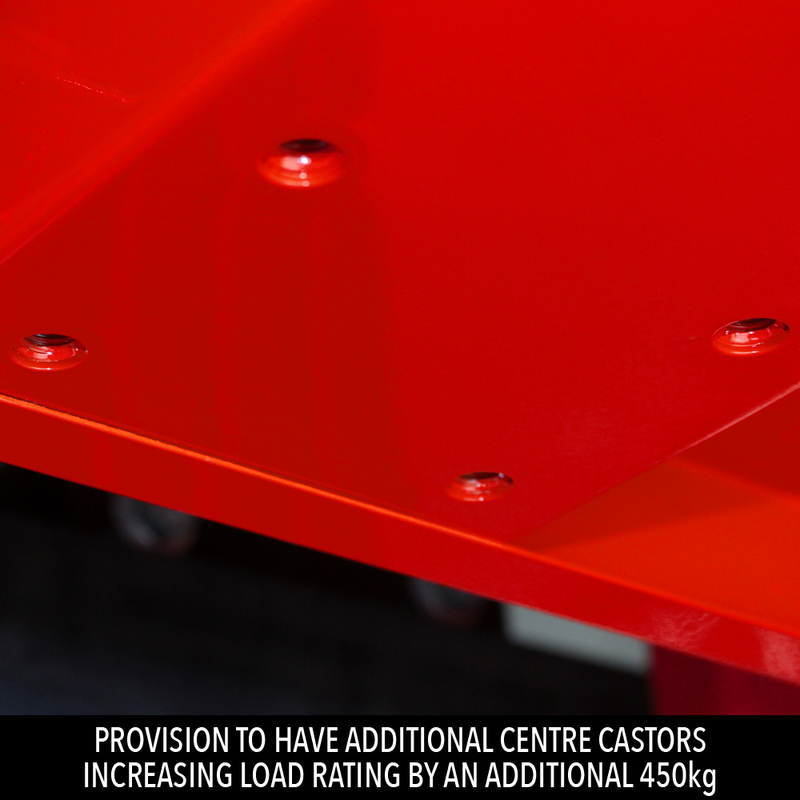 Provision to have additional centre castors increasing the load rating by an additional 450kg. Overall Dimensions: 1595mm (H) x 2020mm (W + 95mm handle) x 600mm (D). 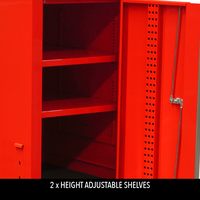 6 Drawer SERIES 3 Side Locker: 1410mm (H) x 490mm (W) x 600mm (D) Weight: 80kg Note: This Series 3 Locker is 70mm shorter than the Series 2 Locker. 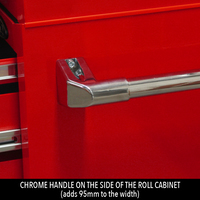 Note: This Series 3 Locker is 70mm shorter than the Series 2 Locker.